Noro Silk Garden is a classic Noro yarn base with a little bit of glamour because of the fiber blend of silk, mohair, and wool. The silk adds a hint of sheen while the mohair and wool add the warmth needed during the colder months. If you’re looking for a Noro yarn that can be worn next to the skin this is a wonderful option. 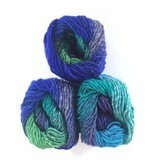 We love suggesting this worsted weight yarn for cold weather accessories that call for a color changing wool. With long color shifts, Silk Garden creates a color palette that gradually shifts creating a self striping styled effect. 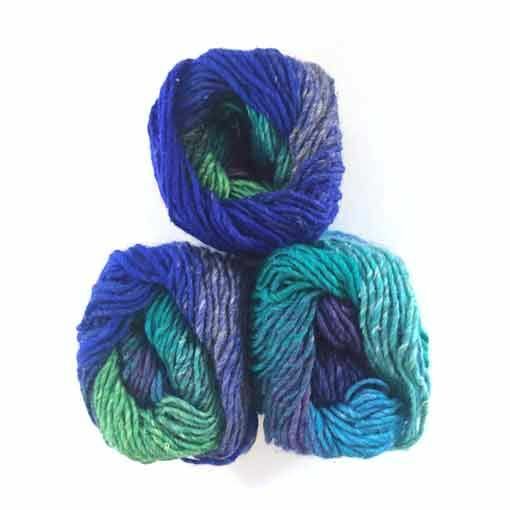 If you work with Kureyon by Noro you will be using a classic yarn. This all wool, self striping yarn has been one of the consistent products of the Noro line. Noro Ito is a worsted weight single ply self striping yarn. It is sold as an amazing huge ball of 437 yards so there is minimal end weaving.